Jared Young easily won the breakout hitter of the first half with a mix of average, power, and a god like 150 wRC+. Picking a winner for the second half was not so clear cut. Usually, most hitters tend to break out at class A ball. This year, though, I actually considered a couple of players as low as rookie ball. It took a lot of debate and thought over about a two week period at the end of the season to come up with this year’s second half break out hitter. 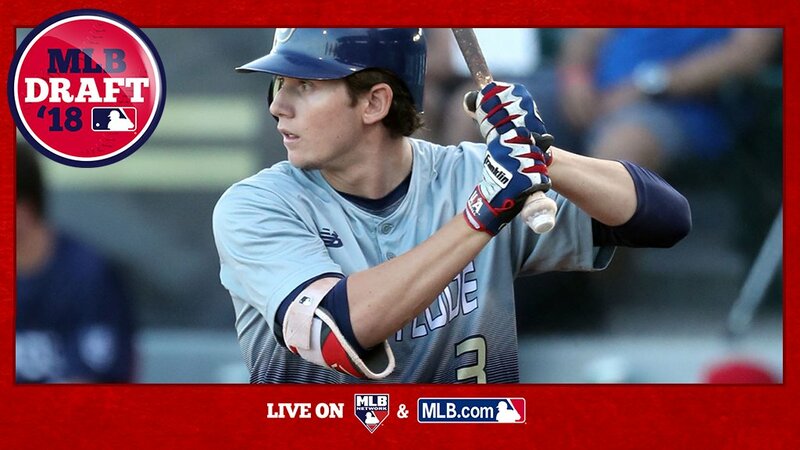 Mesa – The reason why most rookie ball hitters don’t get chosen for being a breakout hitter is that success there does not necessarily translate to the upper levels. Still, there were a few players worth mentioning. One is Rafael Mejia. The first baseman, began the year at Eugene until the college players came. Then he went down to Mesa and just destroyed the baseball including a .355 clip in August. He wound up with eight home runs and 31 RBI in just 48 games. Yonathan Perlaza put together a pretty solid year. After being injured in the first part of the year, he was actually assigned to South Bend’s roster. He never made it there. Instead, the 19-year-old did very well in Mesa hitting .317 with 1 home runs and 26 RBI. He is going to be part of a log jam next year in the lower part of the system thanks in part to there being two rookie league teams. Cole Roederer – There is a lot to be excited about so far. A 129 wRC+ is a great place to start. Add in 5 dingers, 24 RBI, 13 SBs, and a .354 OBP. This was all in just 36 games. That is impressive, even in that small sample size. For 2019, the next logical step is Eugene. The Ems don’t begin until June 15ish. 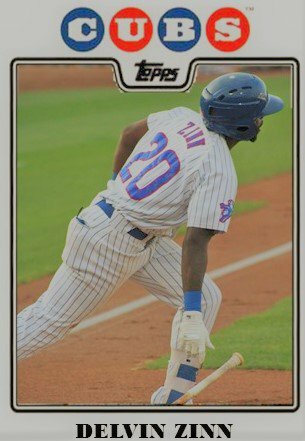 Roederer could be busting out of his skin by then..
Eugene – While this team struggled to hit for the first few weeks of the season, three guys came aboard in July that revitalized the offense. Andy Weber, the Cubs fifth round draft pick out of Virginia, showed a nice left-handed stroke while he played a variety of positions in the infield. Luke Reynolds also showed the ability to to hit and to hit for power as he turned into a doubles machine. Non-drafted free agent Grant Fennell hit with patience and with power in the top part of the Emeralds’ lineup. South Bend – Delvin Zinn really turned it on in the second half of the year. After arriving in June, Zinn played a variety of positions in the infield before getting a full-time gig in July after overcoming a series of nagging injuries, including a finger. Zinn showed the ability to put the bat on the ball hitting .286 for the half and made things happen in August hitting .322 with a .406 OBP. In addition to his natural athletic abilities, I am excited to see what he can do in Myrtle Beach next year. It took him a couple of years to get going. Now that he has, I am hoping that he can’t be stopped. Myrtle Beach – Christian Donahue is a non-drafted free agent out of Oregon State. Signed last fall, Donahue arrived to South Bend in May and flourished in the utility bench role before solidifying a utility starting role because of his bat. Donahue plays with a high motor that is exciting to watch. His greatest asset is his ability to use all fields when hitting. As a result is hard to pitch him any place in the zone. In August, Donahue was promoted to Myrtle Beach and he kept right on hitting there as well. Tennessee – While it’s rare for a player break out at AA, it does happen as it did with Willson Contreras in 2015. 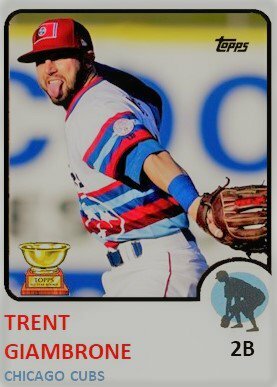 This year, Trent Giambrone looks to have found some more power (17 HRs) and a high walk rate over 13% in the second half. I’m excited to see what Giambrone can do in the more hitter friendly Pacific Coast League in 2019. For a few days this past week, I actually thought of not naming a prospect as nobody went out scorched the Earth with their play over 70 games. At another point, I was going to go with Zinn, then Giambrone. In the end, I decided to go with the kid, Cole Roederer. I wouldn’t necessarily call it a breakout. That will happen when he plays a larger set of games. However, it is definitely a very, very impressive debut. I am hoping that he sees South Bend as his home for most of 2019. I am excited to see what he can do in an entire season. It is going to be a challenge for him and a grind. If I make it to the convention in January, my question for the “Down on the Farm” panel is where they envision him playing in 2019.